How to place digital stamps into your Powercache Passport! Save the Powercache Passport to your desktop. On the Geocaching page, enter the code that was on the card inside the Powercache you found. Once you’ve entered the correct code, your digital stamp will appear. Use the “Download Stamp” button to save it to your desktop. The stamp will appear in the Powercache Passport. 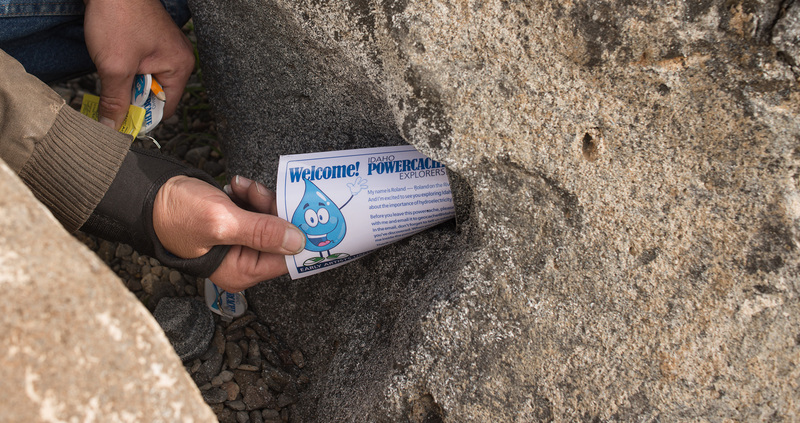 Save your Powercache Passport to insert additional stamps from your Idaho Powercache adventures. Collect all 12 stamps, solve the Word Challenge and we’ll send you a prize!